During my recent stay in the Czech republic I visited two very interesting buildings – Villa Tugendhat in Brno by Mies van der Rohe (1886-1969) and the new Saint Wenceslas church in small village of Sazovice by Atelier Štěpán. The common denominators of these two buildings is simplicity and organisation of space. 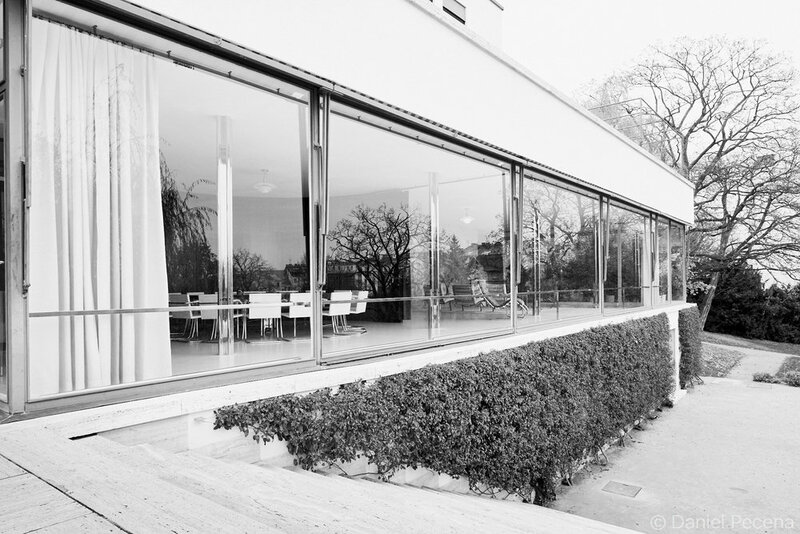 Villa Tugendhat was built in 1930 for the industrialist family of the same name. 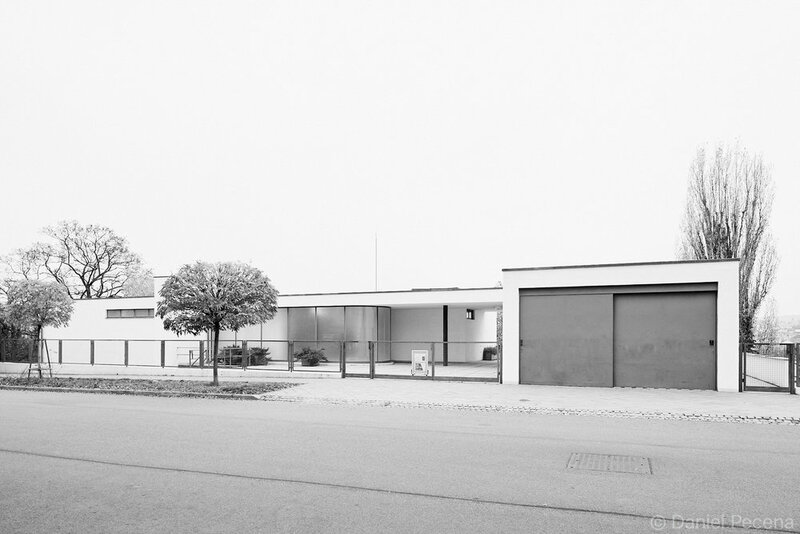 An interesting fact reveals that the design was accomplished with no budget constraints but from the street level this functionalist villa appears to be low, discreet and modest. However, the built area consists of 900 m2 with sloping and expansive garden. This was the first time in architectural history that the steel structure in the form of subtle columns was used in a private house. The building with its architectural details was somewhat related to another Mies van der Rohe’s design, the Barcelona pavilion. Sadly, the owners did not enjoy living in their home for long as they had to flee the country due to World War II approaching. In the meantime, it became the headquarters of Nazi Germany secret police, Gestapo. At the end of the war it housed and was devastated by the Soviet cavalry. It briefly functioned as a private dance school or a place for physiotherapy. In 1992 the villa housed historical negotiations about political separation of Czechoslovakia. Since 1994 it is open to public and the villa also became UNESCO World Heritage site in 2001. The first reference about an intention to build a church in the small village of Sazovice, South Eastern Moravia comes from 1935 assembly of Union of Saint Wenceslas. Two years later after financial contributions from members of this Union a plot of land was bought in auction for a future chapel. However, the World War II put things on hold when German soldiers confiscated remaining finances. After the end of war a new bell tower was executed in the village. Nonetheless, people still put together another pot of money for chapel but before they could start building, Communists who took power in coup in Czechoslovakia in 1948 expropriated the plot of land and the money left for building new chapel. During the Communism era it was very difficult to have any church approved and built as the only ideology officially permitted by the state was communist doctrine. After so called “Velvet Revolution” in 1989 there were other priorities in the village to attend to but constant belief of locals in a new church has gradually transformed the idea into tangible design. Architect Marek Jan Štěpán drew the round shape based on scale and horizontal projection of square-shaped Saint Wenceslas chapel in Prague. Round form also relates to Saint Wenceslas age (10th century) when rotundas were being built in Bohemia. Architect wanted the cylindrical volume to look light as if made from paper. The sections of façade fold inward and outward thus enabling the light coming inside. This building is also more than a church. In the basement is small cultural centre, a space devoted to lectures, discussions or exhibitions. This interesting building and its design has also won many architectural prizes and was listed by Azure magazine in 10 Best Buildings in 2017.